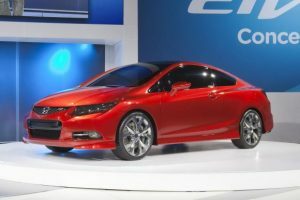 The fuel efficiency of the 2012 Honda Civic is at the top of its class. While detractors have said many things about the Civic, its mpg rating has never been an issue. Still, it can be improved with a few relatively inexpensive items. Here are three aftermarket parts that will help you stretch your fuel dollar. The least expensive item that you can possible buy to improve the mpg of your Honda Civic is a tire gauge. Sound ridiculous? Maybe, but over or under inflated tires have been proven to rob as much as 15% of a vehicle’s fuel efficiency. That can mean around five fewer miles per gallon in a typical Civic. Take into account the excessive wear on your tires and you can see how a $4 tire gauge could save you hundreds of dollars per year. The next part is very simple as well. A new air filter allows increased air flow to the combustion chambers. By having more oxygen available, you Civic will use less fuel, the cylinders will fire more efficiently, and you can add another 5-10% fuel efficiency. These parts can cost about $10 each. There are performance filters from K&N and other companies that can be cleaned and reused for several years, saving you even more money. Another way to improve fuel efficiency is to stabilize your Civic’s voltage system. A voltage tuning system offers several benefits including: low, mid, and high rev performance, increased horsepower, more torque, and throttle response all of which lead to better fuel economy through efficient throttle position sensing. 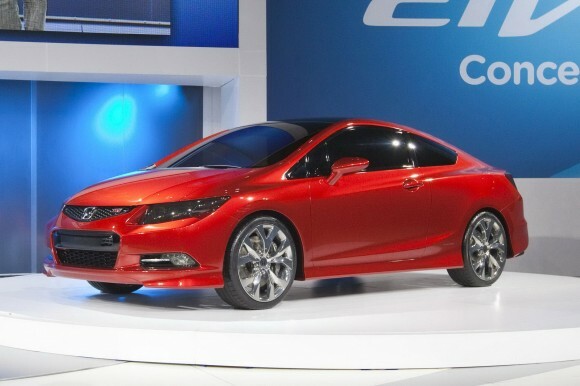 With an automatic transmission the 2012 Honda Civic is rated to get 28 mpg city and 39 mpg on the highway. You can add all of these parts for less than $350. Once they are in place, you could see your Civic’s mpg jump to 45 or higher on the highway. Spread those savings out over the lifetime of your car and you can see that the parts more than pay for themselves. Great tips, a lot of people don’t realize that simple things like tire pressure can have significant impact on MPG. It’s all the little maintenance things that add up to great fuel mileage. Air filters have no affect on mileage with electronic fuel injection only the horsepower produced. The computer control adjusts the injectors for the proper mixture automatically regardless of the intake restriction. Air filters do result in poor fuel economy on carbureted engines as they cant adjust the mixture. Voltage tuning system? What is that? It is a scam. It goes well with the electric turbocharger and fuel line magnets you find in garage sales.